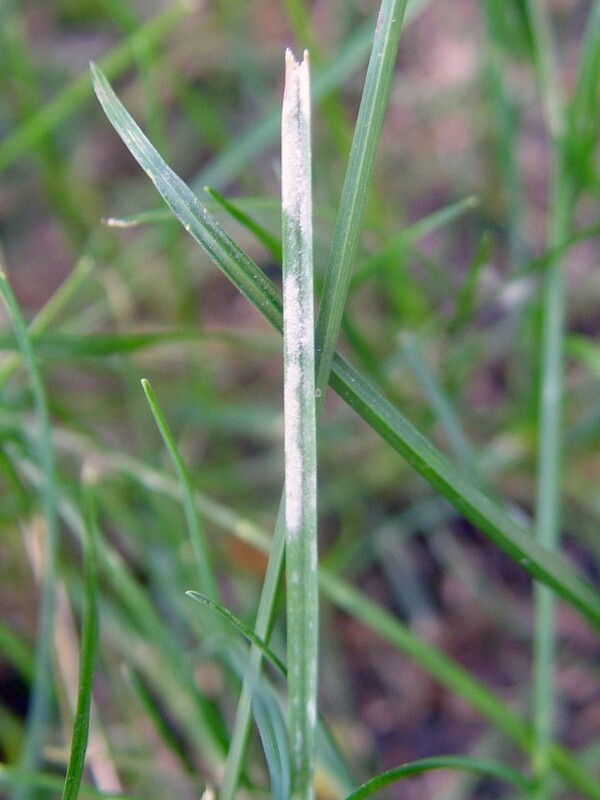 This fungus first appears as isolated wefts of fine, gray-white, powdery growth on the upper surface of the grass leaf. This growth rapidly becomes more dense and may cover the entire leaf, giving the leaf a gray-white appearance. In severe outbreaks, entire portions of the turf stand may be dull white, rather than green. Individual leaves look as though they are covered with flour or white powder. The organism overwinters in dead grass and in infected living grass plants. Spores of the fungus spread by wind to leaves of other turfgrass plants. Conditions favorable for the development of powdery mildew include poor air circulation, high atmospheric humidity (but no free water on the leaf surfaces), low light intensity or shade, and cool air temperatures. 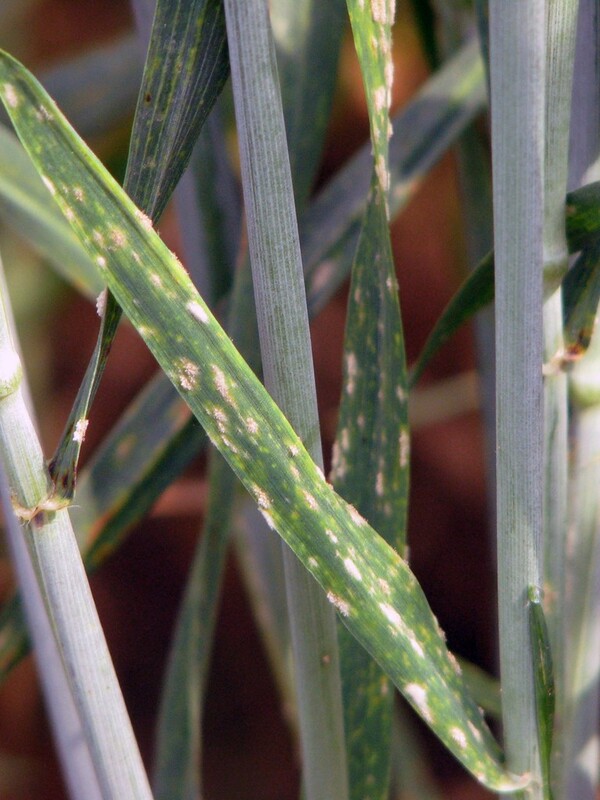 Kentucky bluegrass, when planted in shaded areas, is particularly susceptible to this disease. Where occurrence of powdery mildew is frequent, changing landscape plantings to improve air drainage and reduce turf shading will aid in disease reduction. Prune overstory trees to allow sunlight to reach the turfgrass. Turfgrass species differ in their susceptibility to powdery mildew. Kentucky bluegrass, for example, is quite susceptible to this disease, whereas the fine fescues and tall fescue are quite resistant.